Will be here to answer any and all your questions! Canndescent will be here to tell you all about their new Vape Series and their high-grade flower. 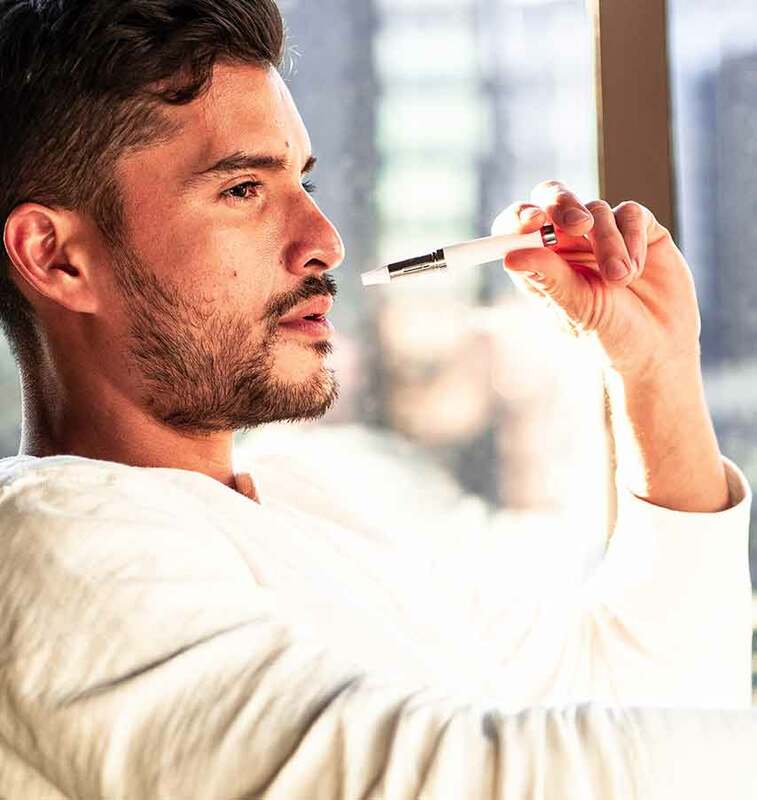 They are changing the game by creating luxurious cannabis products in five signature effects - Calm, Cruise, Create, Connect, and Charge. Find out more about their effects and their products here. Flow Kana is a family owned farm based out of Mendocino county, known for for their sustainably sungrown cannabis. They offer a wide variety of different strains and come with UV protectant jars to keep their flower at the best possible quality. They recently released a limited line of Emerald Cup winning flower that you can find on our shelves! Checkout our Weedmaps menu for prices and descriptions! You can find out more information about their farms here! Buy any two Creme De Canna concentrates get a half gram of Pink Bubblegum shatter for One Dollar! Creme De Canna will be here for a Vendor Demo from 4-7pm. Creme De Canna has been at the extract game since 2010. Their practices are refined and tested. Try them out and see for yourself! Check out their instagram here! Vendor Demo 12-2pm along with a special deal* during this demo day! Mary’s Medicinals Propritary Transdermal agent makes their products more bio-available than most brands. Click here to find out more. *Buy any Mary’s Medicinal prodcut and receive a 1:1 patch OR a container of 5 CBN capsules for one dollar. Vendor Demo and Promotion 4-7pm. The ultimate dosing method. Whenever. Wherever. Find out more here. *Buy any two pouches and get one for one dollar. Or buy one tin and get 4 pouches for one dollar. Will be here for a Vendor Demo from 12 pm till 3 pm! Will be here for a Vendor Day from 4 till 7 pm! Stop on by with your questions or to simply say hi! Creme De Canna will be at MBAM giving out information on their products. Get a Creme De Canna Eighth or Creme De Canna gram of wax for a dollar with the purchase of a Creme De Canna Gram of Wax.